The digestive process seems quite simple and straightforward as long as it’s running smoothly. However, even a minor hiccup can wake you up to the intricacies and fine balance of this system. Digestion is, in fact, a complex mechanism through which the body breaks down the food you consume into vital nutrients such as vitamins, minerals, calories, fats, carbohydrates, and proteins. Each food has to be broken down into single molecules to get absorbed in the intestinal wall and utilized by the body for energy, growth, and cellular repair. The inner workings of the digestive tract to process the ingested food continue silently and seamlessly at all times without you even realizing it. It is only when you are faced with some glitch in its proper functioning that you become conscious of it. All these factors are rather commonplace, and so it’s no surprise that most of us are likely to experience digestive problems at some point or the other. But even then, most people shy away from discussing their digestive troubles openly due to some misguided sense of embarrassment. If not that, many people dismiss digestive concerns as minor inconveniences that will resolve on their own. While the most run-of-the-mill digestive problems tend to be short term and easy to manage, the fact remains that impaired digestion can be quite discomforting and debilitating. Moreover, if your body is unable to process food adequately, your nutrition status and health can suffer. What are Some Common Digestive Problems? What are the Common Symptoms of Digestive Trouble? How do You Ensure Optimum Digestion? Loss of appetite due to early fullness: You feel full even after eating very little, such that you are unable to finish regular-sized meals. Post-meal heaviness: You continue to feel uncomfortably heavy or full for a long time after eating a meal. Abdominal discomfort: You experience consistent mild to severe pain in the upper abdomen, which is the area between the bottom of your breastbone and your navel. Heartburn: You might even notice a burning sensation between the bottom of your breastbone and your navel. This uncomfortable heat in the upper abdomen is usually caused by acid reflux and tends to get aggravated post-meals. Bloating: A buildup of digestive gases can give rise to an uncomfortable sensation of tightness in the abdominal region. Nausea: You may find yourself feeling on the verge of vomiting, especially after eating. You can take proactive steps towards ensuring the smooth functioning of your digestive system by exercising control over your diet. In some instances, your food choices hold the potential to make or break your gut health. People who rely heavily on processed and sugar-rich foods are at an increased risk of both chronic and acute digestive ailments. Just as it is essential to know what foods to avoid, it is equally important to know which ones to prefer. Proper intake of water coupled with a balanced diet can go a long way to promote healthy digestion. It is highly advisable to choose your food properly to reduce bloating, belching, abdominal discomfort, or any other symptoms of an overburdened digestive system. There are many foods that aid digestion and will keep your stomach happy. Here are some foods that you need to eat more of. Ginger has been used to effectively treat various gastrointestinal discomforts for centuries. The anti-inflammatory and antibacterial properties of ginger have been shown to curb digestive spasms, gas, indigestion, nausea, and bloating. A 2011 study published in the World Journal of Gastroenterology noted that ginger accelerated gas emptying in people with dyspepsia (indigestion). However, this was not associated with relief of dyspepsia symptoms. Simmer a few slices of ginger in boiling water to make ginger tea. Drink this regularly. This strong tea may help stimulate saliva, bile, and gastric juice production to aid digestion. You can also put a small piece of ginger through a juicer and add a small amount of honey before meals to improve your digestion. Ginger can be peeled, minced, and added to sautéed vegetables, marinades, and dressings. Yogurt may be one of the best foods that improve digestive health for those able to tolerate dairy. It is a probiotic food, which means it is endowed with “good” bacteria (lactobacilli) that play a key role in the digestion process. Eating more of yogurt will help populate your digestive tract with healthy gut flora, thereby helping prevent problems such as indigestion, diarrhea, and constipation. Maintaining a healthy balance of gut bacteria is an essential prerequisite for a regular and smooth bowel movement. When buying yogurt, make sure the label lists “live” or “active” cultures. Yogurts with added fiber are even better. Try to eat plain, unsweetened yogurt, and if you like, you can add some fiber-rich berries or honey to sweeten it. Oats support healthy digestion due to their high fiber content. The fiber in oats “scrubs” the intestines, moving food along to maintain bowel regularity and prevent constipation. Also, oats are rich in selenium, thiamin, phosphorus, copper, vitamin E, and zinc, which are good for your body overall. If you have a digestive disorder, including oats in your diet can do you a world of good. Anything from oat flour and oatmeal to oatmeal cookies can help improve your digestion. If you have Celiac disease or gluten intolerance, use caution when adding oats to your diet. The safety of oats for patients with the Celiac disease is debated among health professionals, and individual advice is needed. 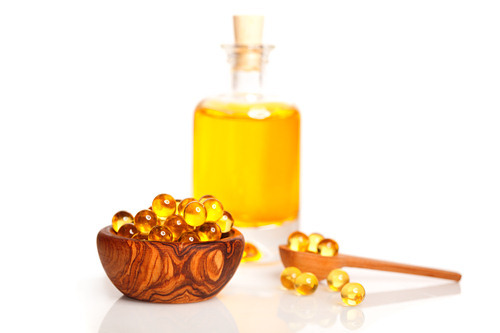 Cod liver oil is high in anti-inflammatory omega-3 fatty acids along with fat-soluble vitamin A and D. Because of this, cod liver oil helps fight inflammation and can help boost immune health, which in turn can restore digestive health. Consuming even a small amount of cod liver oil, less than a teaspoon, on a daily basis can make a huge difference in your digestive system’s health. Note: It is recommended to consult your doctor before consuming cod liver oil. Some people may experience a fish taste and burping after consuming cod liver or other fish oil. If this happens, consult your doctor for other methods of getting omega-3s in your diet. Bananas play a key role in the proper functioning of bowel movements. 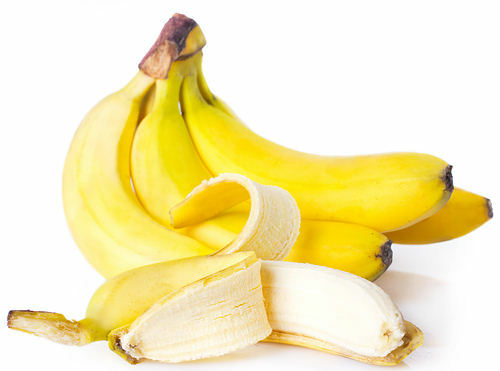 Bananas are highly recommended for the restoration of electrolytes and potassium that are lost with diarrhea or vomiting. They are also a source of fiber, which bulks up stool matter and stimulates bowel movements. Bananas are relatively easy to digest, making them a safe food for many even when the digestive tract is not feeling 100%. Apples are an excellent choice for those experiencing trouble with bowel movements, as apples have both soluble and insoluble fibers. 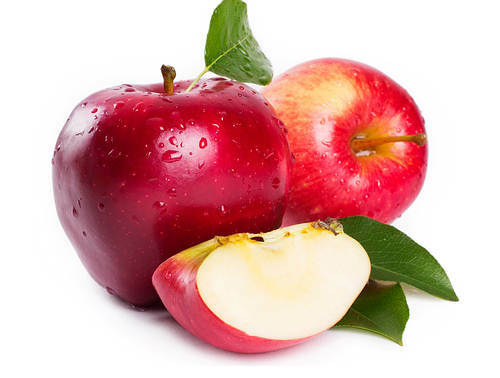 When eaten with the skin, apples are a good source of insoluble fiber known as cellulose. This fiber adds bulk to the stool, which helps relieve constipation and keep things moving quickly through your digestive system. In addition, apples are rich in vitamin A and C, minerals, potassium, and phosphorous offer various benefits. The soluble fiber called pectin in apples can slow down digestion by attracting water and forming a gel, which also will help you feel fuller for longer. Beetroots are excellent for overall digestive health. Beetroots are rich in betaine, which helps increase stomach acidity to control bacteria and yeast in the system, prevent food intolerances, and reduce bloating. Betaine has also been shown to enhance digestive enzymes in rats. Beetroots are also rich in fiber, potassium, and magnesium, which help maintain a healthy digestive system and prevent problems such as constipation and stomach aches. 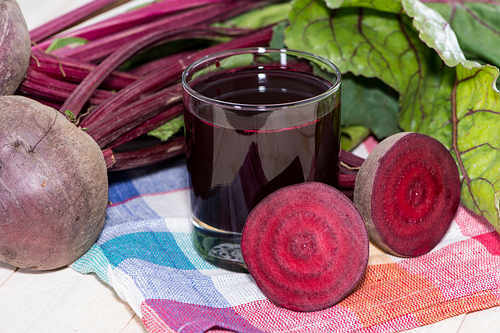 You can eat beetroot raw, juiced, or cooked to enjoy its health benefits. This popular herb is known to work wonders in aiding digestive processes by increasing gastric motility. The cooling properties that peppermint possesses have been used by many around the world to calm an upset digestive system and accelerate healing. Peppermint oil has been shown to be a powerful therapy option for irritable bowel syndrome (IBS). One study found that peppermint oil improved IBS symptoms in study participants in comparison with those of the placebo group. Peppermint oil appears to be well tolerated with low risk for adverse symptoms, but more research is needed. Sprinkle some fresh peppermint leaves over your dishes or add it to your salads. You can also add a drop or two of peppermint oil to a glass of hot water and drink it once or twice daily. Figs are very high in fiber and act as a natural laxative. Figs are rich in anthocyanins and polyphenols, which act as antioxidants in the body. Figs are used in traditional medicine for gastrointestinal and inflammatory disorders. Those suffering from chronic constipation should include figs in their diet. Both fresh and dried figs can be used to achieve a healthy digestive system. When fresh figs are available, eat them with their skin on. The skin contains most of the fiber and calcium. Take this paste with a small amount of honey at night with a glass of water. Flaxseeds have many medicinal properties and are one of the richest plant sources of fiber and omega-3 fatty acids. They serve as a good source of both soluble and insoluble dietary fibers. They are also high in phenols, vitamins including vitamin E and K, and minerals including magnesium and potassium. Flaxseeds have both anti-inflammatory and antioxidant properties. Grind 1 tablespoon of flaxseeds in a coffee grinder. Mix the powdered flaxseeds with 1-2 cups of water and allow it to rest for 15 minutes before drinking. Drink the water daily before going to bed. Alternatively, you can simply eat 2-3 tablespoons of ground flaxseeds with a glass of water. If drinking water with ground flaxseeds sounds unappealing, you can add ground flaxseeds to yogurt, smoothies, salads, oatmeal, or other dishes for a mild nutty flavor. Note: When you eat flaxseeds, please drink a lot of water as it can cause abdominal discomfort. Grind your own flaxseeds or consume flaxseed meal. The human digestive tract cannot break down the walls of flaxseeds, so eating them whole means they leave the digestive tract intact. If you want to build and maintain a healthy digestive system, simply include some of these foods in your diet. You will surely notice a difference. If you have a problem that does not improve with these remedies, consult your doctor. Keep in mind that the best way to optimize the health benefits of food is to eat an overall healthy and well-balanced diet. No single food can cure, treat, or prevent a health condition. In order to best nourish your body, eat a variety of these healthy foods and stay adequately hydrated. Be mindful about the food items that trigger heartburn, reflux, or other forms of digestive trouble so that you can avoid them in the future. While meeting your recommended dose of fiber cannot be stressed enough, it is also essential that you do not undermine your other nutritional needs. According to the American Academy of Nutrition and Dietetics, the daily fiber requirement for women stands at 25 grams, whereas men are advised to get 38 grams of daily fiber. If you have diarrhea, it may be best to keep your fiber intake to a minimum. Consult your doctor for guidance on eating fibrous foods if you suffer from diarrhea. If you increase your fiber intake too much too quickly, you run the risk of suffering from additional tummy troubles such as bloating and constipation. The best way to avoid such deleterious side effects is to consume fibrous foods along with adequate fluid intake (ideally mostly water), which will help you stomach it better and move it along. Gradually increase your fiber intake instead of drastically increasing it at once. Lastly, add in a daily dose of exercise in your schedule as dietary considerations can only do so much as far as your digestive and overall health is concerned. Staying active can help keep your weight in check, your metabolism at its optimum, and your digestive system running smoothly. Haniadka R, Saldanha E, Sunita V, Palatty PL, Fayad R, Baliga MS. A review of the gastroprotective effects of ginger (Zingiber officinale Roscoe). Food & Function. https://www.ncbi.nlm.nih.gov/pubmed/23612703. Published June 2013. Lisko DJ, Johnston GP, Johnston CG. Effects of Dietary Yogurt on the Healthy Human Gastrointestinal (GI) Microbiome. Microorganisms MDPI. https://www.ncbi.nlm.nih.gov/pmc/articles/PMC5374383/. Published March 2017. Guyonnet D, Schlumberger A, Mhamdi L, Jakob S, Chassany O. Fermented milk containing Bifidobacterium lactis DN-173 010 improves gastrointestinal well-being and digestive symptoms in women reporting minor digestive symptoms: a randomized, double-blind, parallel, controlled study. The British Journal of Nutrition. https://www.ncbi.nlm.nih.gov/pubmed/19622191. Published December 2009. Rasane P, Jha A, Sabikhi L, Kumar A, Unnikrishnan VS. Nutritional advantages of oats and opportunities for its processing as value added foods – a review. Journal of Food Science and Technology. https://www.ncbi.nlm.nih.gov/pmc/articles/PMC4325078/. Published February 2015. Swanson D, Block R, Mousa SA. Omega-3 fatty acids EPA and DHA: health benefits throughout life. Advances in Nutrition. https://www.ncbi.nlm.nih.gov/pubmed/22332096. Published January 2012. Rabbani GH, Larson CP, Islam R, Saha UR, Kabir A. Green banana-supplemented diet in the home management of acute and prolonged diarrhea in children: a community-based trial in rural Bangladesh. Tropical Medicine and International Health. https://www.ncbi.nlm.nih.gov/pubmed/20831671. Published October 2010. Rabbani GH, Teka T, Zaman B, Majid N, Khatun M, Fuchs GJ. Clinical studies in persistent diarrhea: dietary management with green banana or pectin in Bangladeshi children. Gastroenterology. https://www.ncbi.nlm.nih.gov/pubmed/11522739. Published September 2001. Dhingra D, Michael M, Rajput H, Patil RT. Dietary fiber in foods: a review – PubMed Central (PMC). Journal of Food Science and Technology. https://www.ncbi.nlm.nih.gov/pmc/articles/PMC3614039/. Published June 2012. Wikiera A, Irla M, Mika M. Health-promoting properties of pectin. Postepy Higieny I Medycyny Doswiadczalnej (Online). https://www.ncbi.nlm.nih.gov/pubmed/24864109. Published January 2, 2014. Wang H, Li S, Fang S, Yang X, Feng J. Betaine Improves Intestinal Functions by Enhancing Digestive Enzymes, Ameliorating Intestinal Morphology, and Enriching Intestinal Microbiota in High-salt stressed Rats. Nutrients MDPI. https://www.ncbi.nlm.nih.gov/pmc/articles/PMC6073560/. Published July 2018. Cash BD, Epstein MS, Shah SM. A Novel Delivery System of Peppermint Oil Is an Effective Therapy for Irritable Bowel Syndrome Symptoms. Digestive Diseases and Sciences. https://www.ncbi.nlm.nih.gov/pubmed/26319955. Published February 2016. Dryden GW, Song M, McClain C. Polyphenols and gastrointestinal diseases. HHS Public Access. https://www.ncbi.nlm.nih.gov/pmc/articles/PMC4216723/. Published March 2006. Oh HG, Lee HY, Seo MY, et al. Effects of Ficus carica paste on constipation induced by a high-protein feed and movement restriction in beagles. Laboratory Animal Research. https://www.ncbi.nlm.nih.gov/pubmed/22232635. Published December 2011. Kajla P, Sharma A, Sood DR. Flaxseed—a potential functional food source. Journal of Food Science and Technology. https://www.ncbi.nlm.nih.gov/pmc/articles/PMC4375225/. Published April 2015. Thanks for these wonderful and achievable tips.I look forward to receive more from you through my e-mail. Nice health tips, please i will highly appreciate it if such mails are sent to my mail. Apples cause constipation as opposed to relieving it, as you state above. Trust me.